Roger Massy-Greene is the Chairman of Networks NSW, the joint venture entity that manages the three electricity distribution networks in NSW. Mr Massy-Greene is a director of OneVentures Pty Ltd, a technology venture capital firm. 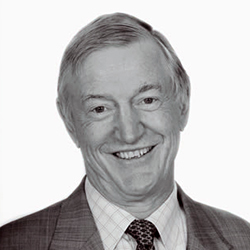 He co-founded the ASX 200 company Excel Coal Limited and was its Chairman until its acquisition by Peabody Energy in 2006. Mr Massy-Greene serves as Chairman of the Salvation Army’s Red Shield Appeal Committee in Sydney and of Eureka Benevolent Foundation, a family foundation focused on social justice issues. He is the Deputy President of Cranbrook School in Sydney.